We had an amazing week on Lake Winnisquam. The lake is beautiful and clear. There was so much to do in the area, yet we were able to relax since the property is located in a quiet, private community. 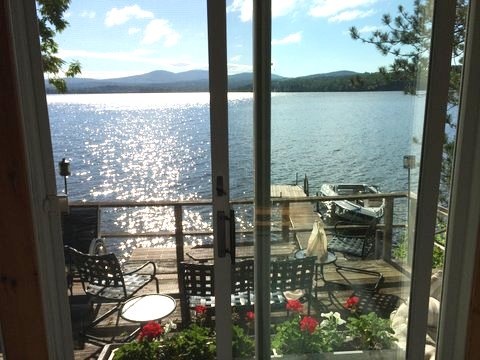 The decks and windows facing the lake made the property our first choice for our vacation. Inside, there was everything we needed and the mattresses were very comfortable. This is a well loved family home with a few new furniture and appliance additions, but mostly kept simple, giving one a vintage, “camp” feel. We would definitely return again! We have rented this same house 6 years in a row for a week in July. Absolutely perfect for us. Gorgeous views, and the lake is crystal clear for swimming. We had a wonderful week at Lake Winnisquam! We loved the decks and the dock for hanging out watching the loons, ducks and, further out, the water skiers. The house was clean and comfortable, away from the main roads but convenient to restaurants and stores. Awesome! My kids loved every minute of it! Incredible experience – feeling you stepped back in time a bit – all conveniences – clean and absolutely perfect location. On the water, near shopping, etc. The picture is exactly where you want to be. Clean, quiet and heavenly. We have now rented this cottage 3 times and we love it. We’ve already made our reservation for next summer! 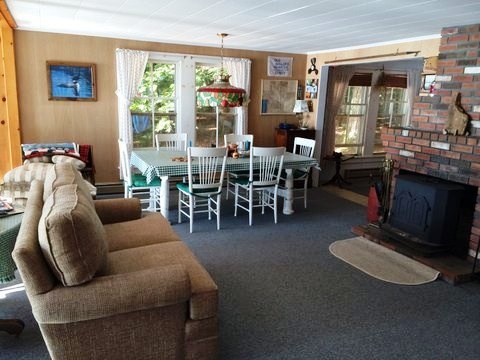 The home is cozy and family-friendly, and right on the water, providing beautiful water views. Great for swimming, crystal-clear water and sandy bottom. The staff at Bayside Rentals is wonderful–they respond right away to emails and they are friendly and helpful–extremely accommodating.